Did you know that 88% of Smartphone users look for local information everyday from cell phones ? At 4GoodHosting.com, our Do-It-Yourself mobile website builder helps your business succeed. In just 15 minutes, anyone can create mobile websites. Take advantage of our free 7 day trial right now! Our Canadian mobile website builder will help you rise above your competitors! Did you know that 88% of Smartphone users look for local information everyday from cell phones? At 4GoodHosting.com, our Do-It-Yourself mobile website builder helps your business succeed. In just 15 minutes, anyone can create mobile websites. Take advantage of our free 7 day trial right now! 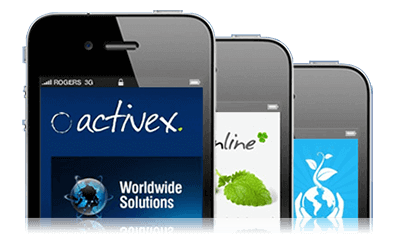 Instantly create a free 7 day trial Mobile Sitebuilder Account! 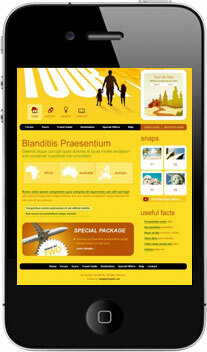 Today's business leaders are looking to create mobile websites to stay ahead. Did you know leading experts predict that mobile websites will become dominate by 2014? Here are five reasons why you should create a mobile website too! 1. Regular websites annoy mobile web users : Mobile phones have smaller screens, forcing users to scroll and make it harder to read content. 2. Google use different indexes : Google track mobile websites separate from their main database. Claim an early spot before your competitor does! 3. Mobile searches are the #one method for finding local information : According to Google Data 88% users looking for local info take action within a day. 4. One out of five people view the web from mobile devices everyday : Don't be the last who grabs these users attention. After using our mobile web builder, it couldn’t get any easier to be mobile friendly. When mobile users visit your website, mobile device users can see your logo, address, pictures of your business and a map detailing how to find you. It gets even better when they have an easy-to-use way to contact you by just clicking a button. The mobile web is still very young. Imagine where your business will be five years later with a mobile website! Doesn’t it make sense to move your business forward before it’s too late? We even offer a 7-day free trial to help you jump ahead of your competitors! Call us at 1-866-708-HOST for more information about our Canadian mobile website builder right now.